Hand wired Sable Quill brushes. 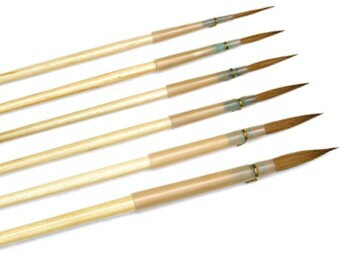 Long, fine, thin brushes which are light in the hand and point superbly. Excellenet for detail and also a favourite of calligraphers.